As architectural colorists, we are often faced with questions about how the materials and finishes we recommend to clients will stand up to the test of time. 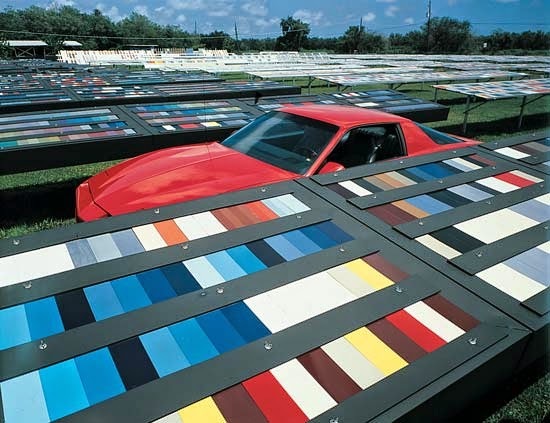 When specifying color for those materials, durability is extremely important. 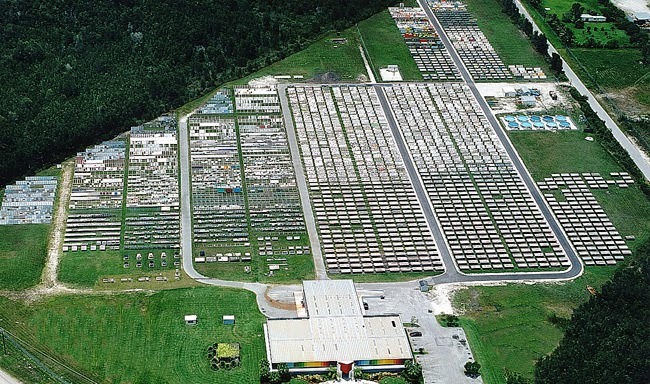 We rely on companies to provide accurate information about the lifespan of their products. Atlas Material Testing, with main offices in Miami and Phoenix, is well known for its outdoor exposure testing and evaluation laboratories. This information is gathered at weathering test farms, which form colorful quilted landscapes in some of the world's most extreme climates. 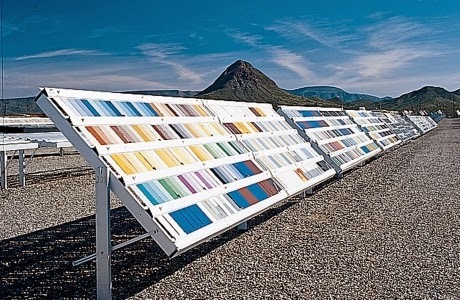 Vast arrays of test fences showcasing a variety materials, ranging from metal panels to textiles and automotive coatings, provide unprotected exposure to color-killing elements like UV rays, moisture and heat. Outdoor weather testing is the most reliable way to observe product responses to the elements. The process is simple, and yet imperfect, because weather itself is unpredictable. However, outdoor weather testing is still the most reliable way to observe product responses to the elements. The first weather testing of architectural materials and finishes was recorded in 1906 at the Government Agricultural Experiment Station in Fargo, ND. Formal weather testing of architectural materials and finishes is more than a century old. Outdoor testing facilities later opened in South Florida in 1931 and in Arizona in 1948, where climates are particularly harsh. Such testing facilities have now spread elsewhere throughout North America and on into South America, Europe, Africa, Australia and Asia. 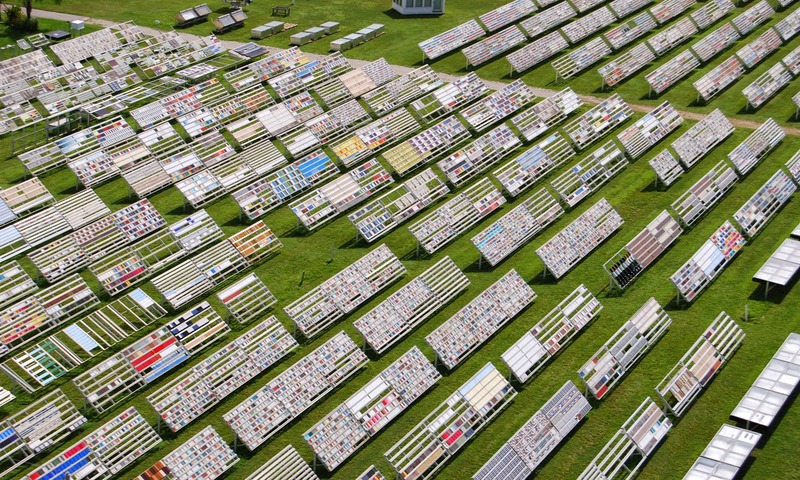 Thousands of fences at Atlas Material Testing in South Florida put materials to the test. Testing materials in different geographic settings allows us to make informed decisions about the materials and finishes we recommend, and allows the industry to improve products on the market. At Colour Studio, our clients rely on us to recommend quality products that will offer high performance after installation.